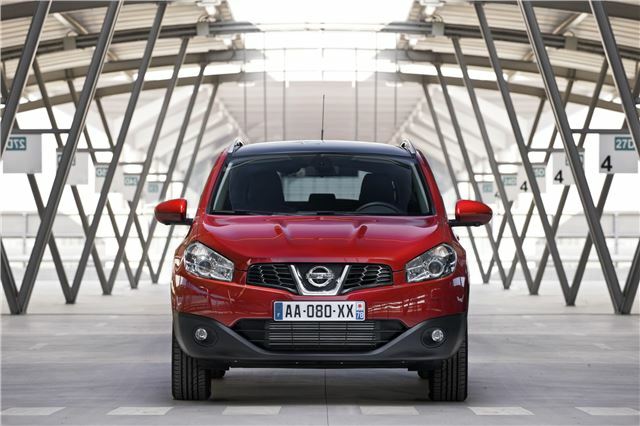 The Nissan Qashqai crossover has been revised, with a new, cleaner engine and improved technology. The Sunderland built model benefits from a new 1.6-litre diesel engine, cutting CO2 emissions to as little as 119g/km. Orders are open now, with first deliveries due in October. The new engine replaces the outgoing 2.0-litre dCi in both Qashqai and Qashqai+2 models and despite having a lower capacity, it provides stronger in gear acceleration and improved refinement. CO2 emissions will initially be 129g/km, but in early 2012 a stop/start system will be introduced, cutting the figure to 119g/km. Fuel economy is improved by 14.9mpg, to 62.8mpg. Savings aren’t restricted to cheaper VED, which is free in the first year, and lower fuel bills - the new 1.6-litre engine is £250 cheaper than the outgoing 2.0-litre engine. Besides the new engine, Qashqai and Qashqai+2 models in Tekna trim get a new Around View Monitor parking aid as standard. This system provides a full 360° view around the car. The driver can also zoom in on the view from any one of the four cameras to get a close up of any obstacles to the front, rear or sides of the car. The updated Qashqai and Qashqai+2 models are available to order now.